Apostles Learning center couldn't have been a better school for my daughter. During her years as a pre-schooler and then a graduate from Pre-K, her development both academically and socially soared! 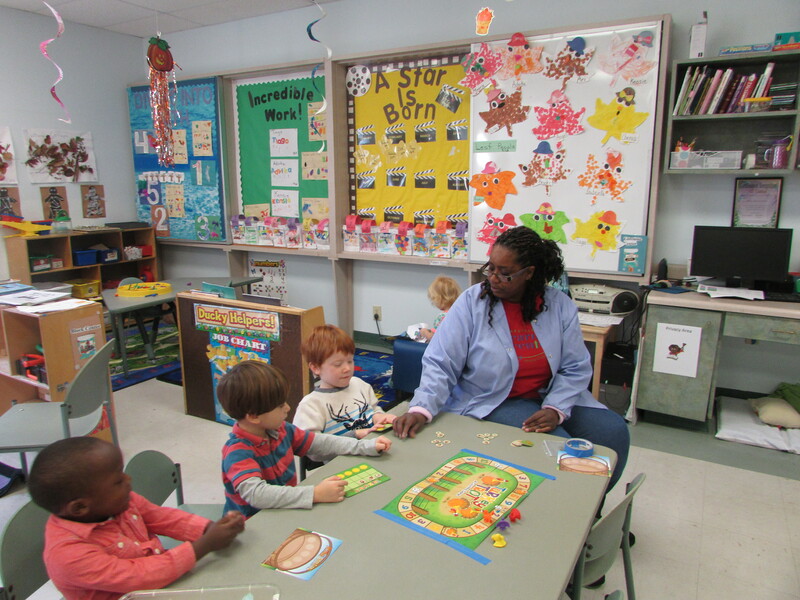 The staff at Apostles are not only caring, but are attentive to the WHOLE child. They have been here for years and the comfort in knowing that turnover has never been an issue was one of the top reasons I selected this school. The extra-curricular activities create a flourishing environment and the children here truly love the Apostles community. We love Apostles Learning Center, they are so family-centric and loving, from our first interaction we knew ALC was the place for both of our children. Once when our son was sick and I was stuck in a meeting across town, his teacher reassured me and took care of him until I arrived. When I rushed into the room, she was holding him to her as if he was her own - you don’t get that kind of care or love everywhere and for early learning, that’s exactly what you want, teachers who have love and compassion. We love Apostles Learning Center, they are so family-centric and loving, from our first interaction we knew ALC was the place for both of our children. Once when our son was sick and I was stuck in a meeting across town, his teacher reassured me and took care of him until I arrived. When I rushed into the room, she was holding him to her as if he was her own - you don’t get that kind of care or love everywhere and for early learning, that’s exactly what you want, teachers who have love and compassion. We’ve had two children at this school spanning five years. At every grade level, we have always been pleased. The people are loving and the education is excellent. Can’t say enough good things about this sweet school. We have loved having our kids at Apostles for 3+ years! Great teachers and staff, lots of outside time and a warm, loving environment to send your kids. We could not be happier with ALC and how much our daughter has thrived socially and cognitively, as she continues to grow! The teachers and staff truly care about the children and their wellbeing. The security is fantastic and we know we can rest easy knowing the kids are safe, as most of us parents head off to work. We couldn’t recommend this school highly enough! At ALC, we believe a well-balanced menu is key to feeding little bodies to enable social and academic growth. ALC provides a healthy and varied menu of kid-friendly foods, including breakfast, lunch and an afternoon snack. Our on-staff nutritionist is always trying new dishes to add more whole grains, vegetables and fruits to the menu. ALC tries to serve seasonal items that tempt even the pickiest of palates. ALC will happily accommodate any parents or students with dietary restrictions or special feeding needs. ALC is a nut-free school. ALC has developed and implemented the highest standards of security to ensure the safety of our students and staff. An entry access card is required to enter the building, and is issued to parents upon registration. Security doors have been installed between the church and school area, preventing anyone without a security pass from entering the Center. All children must be checked in and out through a computer system in the reception area. Monitoring cameras are strategically placed at entrance locations to further safeguard the children and staff. We pride ourselves on the quality of the ALC staff. Most of our staff members have been with ALC for ten or more years, and provide a loving and warm environment for your children to learn and grow. All lead teachers have attained a CDA (Child Development Associates) or higher. The staff takes continuing education courses throughout the year, and works with the ALC director to stay current on best practices in early childhood education. ALC’s policy is to always put the needs of the child first. Our director and staff will work with you and your child on any needs or challenges that arise. ALC sees the accreditation process as a valuable tool to make our school even better and keep current with best practices in early childhood education. ALC also meets or exceeds all the licensing standards from the Georgia Department of Early Care and Learning (Bright from the Start). ALC has achieved a Three-Star Bright from the Start Quality Rating, the highest rating the program offers. Call Us Today and Schedule a Tour!